Serum Hair & Body Repair Spray is dedicated to persons who have started to feel on their skin the elapse of time, resulting in wrinkles, a decrease in moisture content, less flexibility and firmness of the skin as well as discolouration. It is the solution for problematic and sensitive skin, which requires particular care. It is excellent as a means to alleviate inflammation of the skin after sunburns and irritations. The ingredients of natural origin react well with allergenic skin and skin struggling with such problems as dryness, acne and atopic dermatitis. This cosmeceutical is a preparation that stands out with its multiplicity and high concentration of active ingredients, and hence, together with nutrition and care, it fulfils a therapeutic function. Those who value high-quality on an equal basis with wise purchases will be attracted by the compactness and versatility of the serum that can be used at any time (also on make-up). Available in two sizes it will be a handy companion in purses, during trips, on the beach, in busy cities or lazy villages. Serum Hair & Body Repair Spray is a cosmeceutical with a unique composition based on a patented complex of biopeptides. The multifunctionality, which results both from the diversity of applications and the wide spectrum, is its inestimable value. In a handy, universal form the preparation is designed for facial, body and hair care, with such a set composed of active components for it to function three ways: regenerating, nourishing and protecting. Biopeptide Complex, which is the foundation of Serum Hair & Body Repair Spray, is a collection of active oligopeptides and polypeptides. 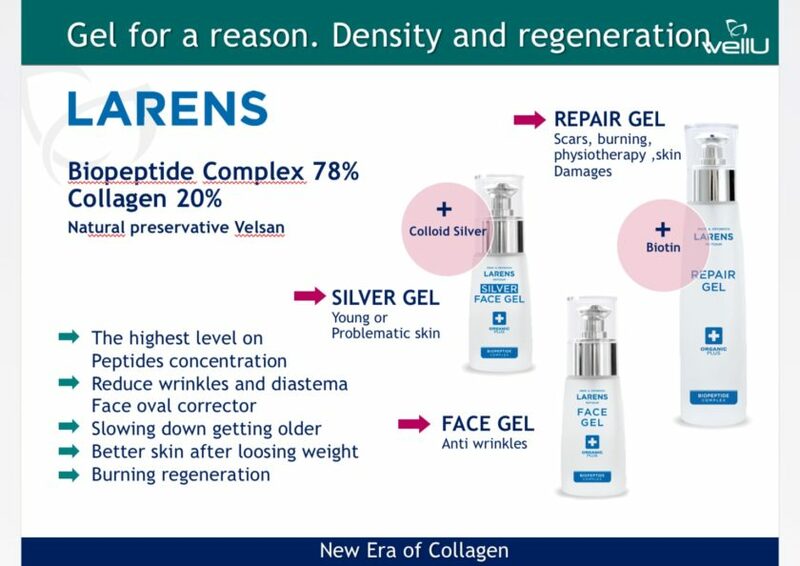 The revolutionary substances, which discovery marks the beginning of Larens cosmeceuticals, was quickly acknowledged as the future of cosmetology and medicine in the field of anti-ageing. 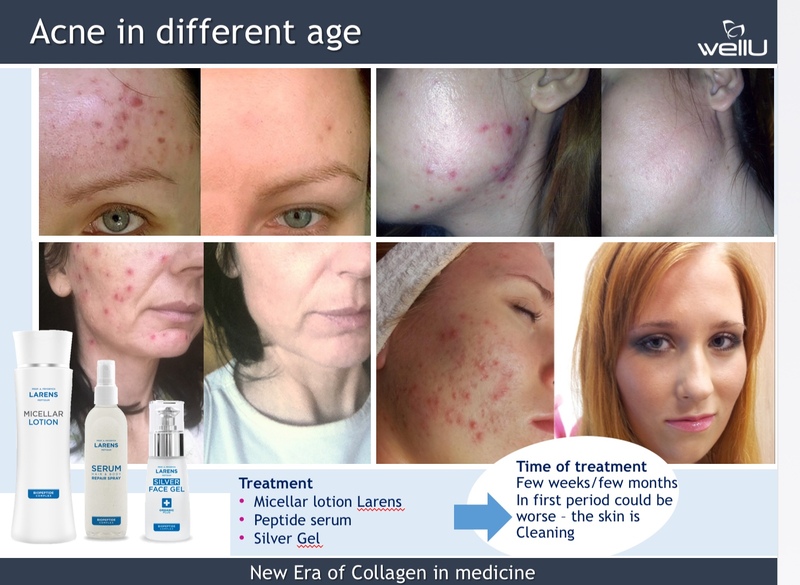 Peptides function in three ways: signal – give an impulse and stimulate fibroblasts to produce collagen and elastins, relaxing – called “an iron for wrinkles”, they relax the muscles, which tension results in facial wrinkles, transporting – they move active components of the serum deep into the skin, so that regeneration, nutrition and protection start all over again. To further strengthen the beneficial effects of serum, the cosmeceutical is based on a unique carrier of active ingredients – Nutrivi water. The uniqueness of the water developed exclusively by the manufacturer lies in its hexagonal structure. Because of this the water not only helps transport nutrients deep into the cells, but it also moisturises and cleans them from heavy metals. The idea behind the creation of the serum was to create a product for complete care corresponding to the needs of 21st century skin. Hence the presence of very important vitamin C, which oxygenates and evens skin tone. The addition of silver colloidal completes the cosmeceutical with anti-bacterial and anti-inflammatory actions, and biotin – also called vitamin of youth, cares for the condition of the nails and hair, strengthening them and preventing their loss. Winner of the prestigious poll Qltowy Kosmetyk 2016 in the category Qltowy Koncept.